Various news outlets are reporting that there has been a fire aboard the Carnival Triumph. 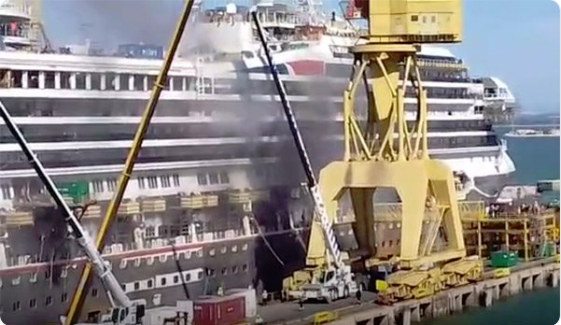 The blaze reportedly broke out on the fourth deck of the ship while the ship was in dry dock in Cadiz, Spain, and resulted in the evacuation of hundreds workers and contractors. It is not clear how much damage was done to the ship. CruiseHive.com suggests a spark from a welder's arc may have ignited the fire.